Call Us Today for a FREE Consultation and Evaluation! 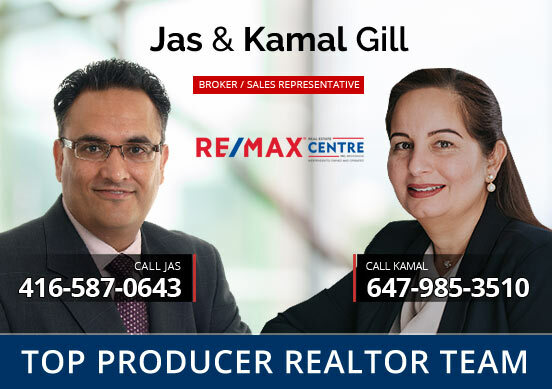 Jas & Kamal are a top producing real estate team providing exceptional service to home buyers, home sellers and real estate investors across the GTA. Their outstanding skills and top-rated customer service is what sets them apart. An active approach & impeccable knowledge of the business is what has built their impressive reputation in the community. 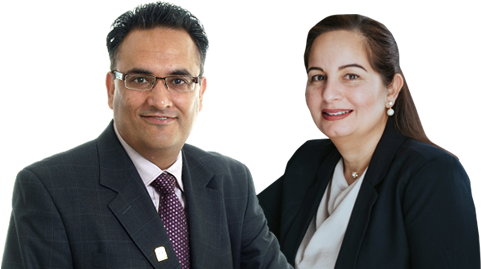 Selling or buying a home can be an intimidating step in your life, but with Jas & Kamal by your side you are sure to be in good hands. Call Jas & Kamal for all your Real Estate needs. "Thank you Jas for all the help and quick sale of our home. Your service was very professional and we are so happy with the results! We will recommend you to anyone looking for a great reliable agent to help them with their real estate needs. Thanks again!" Maria & Manuel Lima-58 Chadwick St. I would like to thank Jas, Debbie and staff for the way they handled the sale of my town house. Cleaning was provided and was excellent as was their support throughout the process. Both were always available when we had a question. Sold in two weeks! Thank you. Dave and Mary Scott. David & Mary Scott-71 Kenwood Dr.
For eight long months my house was for sale with no offers. Then I signed on with Jas Gill on a Monday evening. On Friday Jas brought me an offer, and by the following week my house was sold. Jas took care of all the details. Thank you Jas!  Jas was very professional and understanding when it came to selling our home. He understood the importance of getting the best price possible for us. His accommodating manner and persistence to do the best for us, resulted in a very quick sale and competitive price. Thank you Jas for all your support. Lynn Knowlton & Gary Borrow-10 Nantucket Cres. Thank you Jas for you hard work and dedication. Thank you Jas for your professionalism and quick turnaround for the sale of my home. You made the process simple and my house was sold within 2 weeks of being on the market. "Jas is very professional and always available to you for any questions you might have during the whole process. Jas has a team which shows equal professionalism and quick response. In buyers market it's very important to take prompt decision based on changing environment. Jas has that knowledge and negotiation skills which helped us to get our property sold in a timely manner. He is an expert in what he does and have great understanding to address minute details in sale agreement. In this tough market, if you want to get your house sold, you need a professional like Jas"
Bhavin & Kinjal Punjabi-15 Mannel Cres. Anh Tuan Huynh & Ann Mai Chan-63 Tulip Dr. Thank you for your great service; 100 percent satisfaction, 100 percent professionalism; Thank You; Thank You. My neighbour commented on your great agent works. Cheers to the best real estate sales agent in the 905 area! "After making the decision to sell our house we thought about who we would want as an agent to represent us. The one person who came to mind was Jas Gill. We were very impressed with his knowledge and his caring manner. A very charming and professional individual in all of his dealings with us. We absolutely trusted his judgment and he did right by us. It was our pleasure knowing him and we would definitely refer him to friends and family. Thank you Jas for being who you are. We really appreciate your guidance throughout the process." Audrey S. & Peter K.
Audrey S. & Peter K-30 Sterritt Dr.
We interviewed Jas Gill, along with other brokers for the sale of our existing home. We felt very comfortable with Jas, and Jas was the best choice to help us through this process. Jas provided us with his expert advice and counsel based on his vast knowledge of the business and marketplace. Jas is very trustworthy and was always available whether in person, by phone call throughout the entire process. Jas’s expert advice played a vital part in the listing and marketing of our home with a sale after only a few days on the market and obtaining a sale price that was over asking price. His team was the best we have ever dealt with including the photographers and videographers were outstanding. Their professionalism as a team was immediately noted and confirmed with our Sales result and multiple offers. 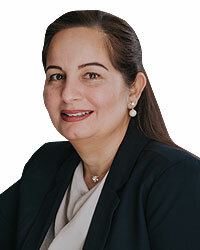 We would not hesitate to recommend Jas Gill as a real estate broker to our family and friends. Manuel & Fatima Amorim-20 Kawana Rd. "Jas Gill "RE"ached over our "MAX"imum expectations. First of all I would like to thank God for sending Jas Gill into our family presenting himself from REMAX to be a part in selling our house. It is a great blessing having an honest person like Mr. Jas Gill to put all our trust to. He is a very humble and dedicated man to his profession. Truly I would like to send our sincere gratitude for exceeding our expectations. Our house sold in one day over the asking price. Jas, thank you for everything. It is always a great pleasure to recommend you to my families and friends and to others as well. Me my wife and my family will always pray for you. 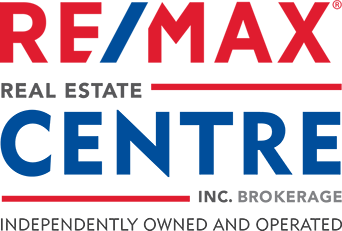 I would like to thank REMAX for having Jas and to all the people making your business #1. Again thank you." Leonor & Tessie Cabuntocan-18 Conklin Dr. Recently our family had the honor of working with Jas Gill and his exceptional team. Our home sold in less than two days on the market for more than $81K over asking price. Jas Gill treated us with delightful professionalism and his history of experience provided our family with a tremendous amount of trust. His quality of service is above all else." "We entrusted Mr. Jas Gill to sell our house. He and his team were very enthusiastic, professional, thorough and result oriented. He got the job done in just 4 days and sold over the asking price. Mr. Gill was very patient in answering all our questions and always kept us as sellers first. His integrity and trust as a realtor was above our expectations and we would recommend any one planning to buy or sell their house. Thank you Jas for your commitment in selling our house." Satish & Usha Patel-13 Acadian Hts. "When deciding to sell our family home, we wanted to make sure that we choose an agent who would approach us and our home, with kindness, respect and a great deal of care. Jas Gill was all of those things and more! He was courteous, action-oriented and listened intently about what we wanted and truly provided a client-focused experience. Our lovely home sold within 48 hours of listing, and well above asking price. Jas is a sellers dream agent." We would like to take this opportunity to thank you and your team for all the assistance and help in selling our house. You and your team had a professional approach since we first met up. We appreciate your effort. We would not hesitate to recommend your name to our friends and family who are contemplating selling a house. Hemant & Sapna Das-8 Seafair Cres. Mr.Gill is a very well informed realtor with excellent people skills. We are so glad that we enlisted him to sell our home, he made the process very stress free. Thank you Jas. Sunil & Sheela Gurushanta-103 Vivians Cres. We would like to express our thanks and appreciation of the excellent work you did in connection with the sale of our house. We are impressed with your professionalism and your personal approach to your clients. We are very satisfied with the end result that you have helped us to achieve in a short period of time. I would definitely recommend your services to our friends and neighbours. Lucyna Chrobak-Sapeta & Jan Sapeta-101 Vivians Cres. Jas Gill and his team, Pal and Debbie are wonderful and very dedicated. They were there to meet all our needs at every point throughout the process. They were able to sell our house within three weeks! If I had to do it again, I’d do it again with Jas Gill. Ninous & Sandy Beniamin-53 Hood Cres. Jas, Dorothy and I would like to thank you for the quick, less than a week, and successful sale of our home. You were recommended to us, and we were not disappointed. You listened to our concerns, and handled every detail of the sale in a totally professional manner. We would not hesitate to recommend you to our friends in the area. Barry and Dorothy Mccay-97 Mullis Cres. We would like to thank you for the interest you showed in selling our home. You were very patient and helpful with us. You are a very pleasant person to deal with and very considerate about meeting our needs. I will definitely recommend you to any family or friends who have a property to sell. You are the best. Thanks again. Pamela and Gresford Williams-14 Drinkwater Rd. Jas has now been our realtor twice and in both instances, provided exceptional service. Working with Jas was a very pleasant experience as he was prompt and kept us informed at all times. He clearly understood our budget while purchasing and expectations while selling our property. He was also very patient and did not rush or push us into a deal. Jas is like a family member to us now whose honest opinion we can always bank on. We would highly recommend Jas to anyone looking to buy or sell a property prosperously. Sunny and Kirti Varghese-13 Hood Cres. ‎My wife and I would like to thank you for providing excellent service in your role as our real estate agent. You are very professional and kept us informed throughout the sale process. We would be pleased to recommend you to our friends and family should they ever need a real estate agent. Mae and Brian Lai-85 Mosley Cres. "We could not be happier with Jas Gill. He helped us every step of the way from the staging of our home right down to the final sale. Not only did he provide excellent guidance, he was able to sell our home well over asking. His negotiation techniques and client relations really helped us to make this whole experience successful. Thank you JAS for selling our family home and helping us to move on to the next chapter of our lives!" Visouda Norasingh, Viengkham Thavone-5 Chadwick St.
"Jas is a great real estate agent. He is very organized, professional and has a great knowledge of the current housing market. He created a plan, explained to us the current market value of our house and listed it accordingly. He kept our needs into account such as scheduling showings only during the evenings. He kept us informed about the progress of our sale and offered great advice. His negotiation skills were impressive and helped us to sell the house quickly and for more than the listed price! We would definitely recommend Jas to our friends and family. When it came to buying our new home, Jas took our needs and expectations into consideration and showed us the properties accordingly. Jas is fast in action and responses. He quickly arranged times for us to visit the houses. He is very friendly and knowledgeable. We had lots of questions for him, he patiently shared his opinions and offered great insights. We really appreciated his honesty and low pressure approach. We wanted to take our time and find a house that checks all of our needs and in a specific neighborhood. We never felt any pressure from his side in making the decision. In the end, we purchased a lovely house at a great price in the neighborhood we were looking in. It was a wonderful experience working with Jas and we will definitely recommend him to our friends and family!" Rajinder Singh Choong & Kiran K. Choong -83 Mosley Cres. "Jas Gill did an outstanding job helping us put our house on the market and getting it sold with amazing results. He was patient, very flexible and always available to respond to our questions or concerns. His professionalism and calm manner helped put us at ease. The end results were more than we could ask for. We truly thank Jas for his hard work, dedication and guidance through the negotiations. Jas also helped us find our dream home. He was excellent and very understanding and stuck with us through thick and thin. He understood our needs and provided us with the properties that fit our criteria. He always took his time explaining the criteria and didn't stop until we found our new home. He is tremendously hard working and very fun to be around. He is an amazing real estate broker and now a very loyal and trustworthy friend. Thank you!" My family and I had the privilege of working with Jas Gill to sell our first house in Brampton. Jas was very professional and efficient in getting the job done, but not only getting the job done; every year he invites us the his annual party! He is so easy to get along with; he doesn't have just "clients", he makes you his friend and never leaves you hanging. When it was time to sell my second home in Brampton (Castlemore) my thoughts went to Jas Gill. If anyone could sell our home it was him. It was important for me to find a realtor with knowledge and expertise, and who would keep my best interest at the forefront. This is why I chose Jas Gill. I found Jas to be very professional, extremely respectful, dedicated, honest and kept me informed throughout the process. Within two days my house was sold, my children and I are still in shock that it sold so fast. Not only was he successful in selling my home, he showed remarkable attention to detail, was very resourceful and marketed the house very assertively. Thank you for many years as our realtor. Thank you so much for your patience and understanding throughout the process. Jas Gill helped make this event relatively stress free. Jas, thank you for selling my 1st and 2nd house. You are the best realtor in the city. I would not hesitate to use Jas Gill's services and I highly recommend Jas for all your real estate needs. Marie Pierre-Charles 3 Cairnburg Dr. The experience working with Jas Gill and his team was nothing but professionalism at it's best. We were very pleased with the service and time dealing with Jas. Shernette, Elaine & Norma Hines 25 Sunnybrook Cres. I wanted to thank you for all the hard work and perseverance you put into selling this condo. You really saved my life and I thank you so much. I wish you and your family all the best for 2016! My husband and I would like to personally thank you for a job well done in selling our home. You received our calls in a friendly and professional manner, you were always one step ahead for all our questions and worries. Even when you were spending time with your family you left them when an offer was on the table and came with a smile on your face. Your attention to detail as well as your knowledge of the current market assisted us in understanding what people in this area were looking for in a home. I would have no hesitation with referring you to my friends and family. You make the world a better place to live, walk through life leaving kindness in our path, comfort, helping hands with your thoughtfulness for others, you’re so deserving of you are someone most beautiful and generous habit. Start of sale 1st May, 2015 previous home to finish closing date 1st July 2015 of our new home. It’s important to us, we want you to know we appreciate not only what you do but the caring ways you do it. May the world be as beautiful for you and your extended families as you make it for others. Thank you Mr. Gill for all your special services. God enfold you as you journey on your way. 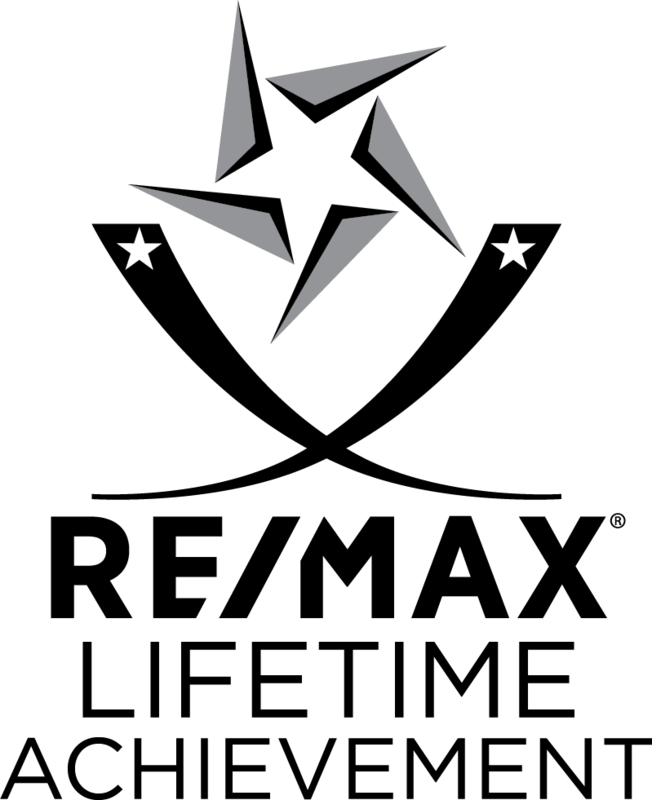 We would like to thank you for being our Real State Agent. You amazed us on how much knowledge you have in terms of the business. You sold our house within a week and found a house for us at the same time. You are very professional in every way and you are always ready to help us to make this process as easy as could be. You are the complete package! We are very much satisfied and happy with your service. We will be happy to provide good reference for your future clients. Jas Gill had already demonstrated commitment well before we took him on as our Real Estate Agent. He knew we were planning on selling our home in the near future and he kept in touch and also kept us well informed of the market. His loyalty gave us no other choice but to hire him as our agent. Throughout the process he was very professional and even patient and calming at those times when my my anxiety had reached it's limit. We were successful in obtaining our listed price range for our home. Many thanks and blessings Jas, from our family to yours. "Thank you Jas for having sold our house. of us as clients and you really strived to obtain the best result for us. It is a pleasure in writing this letter to thank you for all your hard work in selling our house. You were very professional and took care in any of our questions and requests during the short time that we knew eachother. You brought in numerous potential buyers which we think it complimented your advertising. With your personality and friendlyness we believe that you got us the best price for our house, and would like to thank you and your team for that. We recommend your great service and agency to anyone who wants their house sold fast. Thank you for all your sevices. If you are not a veteran on how to sell and buy properties it is a jungle out there but no reason to fear with Jas Gill’s professionalism and earnest effort you are in good hands. Great guy! We wanted to send you a note to thanking you for the great job you've done selling our house. Your knowledge of the real estate market is second to none and your negotiating skills got us top dollar for our property, above asking price, setting a new record for our type home in our neighborhood. Thank you very much for your work. We really appreciate your expertise and professionalism. Many many thanks Mr. Gill you have start the race I thougt you coudent make it I was wrong you won you came first and thats what matter as there is no consulation prize thanks many thanks much love from us all .barbara and family. I was Very pleased with Jas Gill's service, he was very helpful to us. We greatly appreciate his hard work.He has great acknowledge of market, and most professional realtor i have seen in my entire life. I would not hasitate to recomend him to my friens and family. P.S: He sold our home in 6 days for $8000 over asking. We have been blessed and honoured to have meet you in 1997 when we sold 97 Candy Cres, and then again recently at 12 Lent Cres. What you have done for us we simply can't express but WOW are we ever blow away at everything you did for us. You are a very professional, caring and POSITIVE individual and it goes without saying it's been a pleasure working with you and also look forward to any future Home purchases. We defiantly went through an interesting journey what seemed to be impossible BUT with your positive reinforcement we got our family home. Although we are still busy but making huge progress towards getting settled in and we look forward to your visit, the door is always open. I will be writing a AWESOME letter to you and Remax as you are an outstanding Agent! Of course give me some time as I want to be written with perfection. Once again we all Thank you for helping us get our dream home. Thanks a lot to be with us through out our journey to sell and finding our sweet home. You were always by our side, just a phone call away. I know even I have bothered you a lot by calling you out of business hours as given or assembled in Canada. I never imagined meeting such a patient and caring individual . We had certain expectations in a home with limitations, which at times felt like we were attempting the impossible, but you not only listened to each request, you managed, encouraged and provided us a vast knowledge to find a best home. It has truly been a pleasure working with a knowledgeable, compassionate, and tolerant person such as yourself. I met Jas six months ago during his solicitation calls to the neighborhood. Another typical Real Estate Agent, I thought at that time. However, his persistent follow up, patience, caring service and broad network are very impressive. I had used different brokers previously, and our house had not been sold successfully. With Jas’s professionalism, our home is on the market for one week and sold within a week! This happens due to all Jas’s efforts, professionalism, and caring. We do not hesitate to highly recommend Jas to others! We found Jas Gill, a true professional, who cares about his clients and their families. He is honest and a great person to have on your side during the sale of your home. This letter is sent to you in appreciation for the successful lease of our home. Jas Gill presented himself in a professional calm manner, most knowledgeable and considerate of our needs. Thank you for your hard work, dedication and guidance through the negotiations. Sincerely we wish you all the success in the future. We are pleased to recommend Jas without hesistation. We know that you are our agent. Our family completely trust you and your Professionalism, we have no doubt in you. You will always be our agent. That's why we called You and nobody else so please know how thankful. We are so happy with our choice of Jas Gill as our Realtor. His calm and professional manner made the stressful business of selling our home a smooth one. His knowledge and experience in the Real Estate industry made sure that his efforts resulted in a sale. Our home was sold within 5 days! Whenever we had a question or needed him, he was always available which to us was important. There was no waiting for Jas to get back to us. Another important aspect of his great service was that he liaised with our Real Estate agent in the Georgian Triangle area. He reviewed our contract of purchase to check for errors or omissions, printed them out, had us sign and sent them back up north several times. Jas was instrumental in making our purchase up north a smooth one and saved us a lot of driving time. His office was also very friendly and very efficient. Jas Gill was certainly dedicated to our best interests and it is a pleasure to recommend him to family and friends and the general public as your next Realtor! Thank you Jas for your excellent professional real estate service. 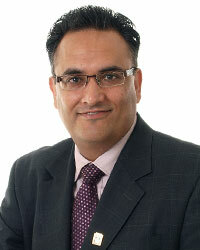 I will definitely refer Jas Gill to anyone who is buying and selling properties. If you are looking for someone who can make the experience of selling your home and buying a new home simple and enjoyable Jas Gill is the real estate agent for you. He provided me with excellent information that enabled me to downsize my home and find a new home within a month. At first when I called Jas to come and see me. I was not planning to put my property on market until May or June. They way Jas approached me with his great experience; I decided to market my home. He is very easy to connect with, and also approaches everything very professionally. He was very detailed with his presentation and had patience to stay in touch with me for last three years, and I could go on to say there were many agents who approached me and I did not find same professionals in any one. I will strongly recommend him to my family and friends. Thanks for your excellent guidance. "Thank you for all your hard work & dedication. You are an awesome person. I believe that we learned a lot from you especially when handling difficult clients. Although when I felt like giving up sometimes, and I'm sure, you did felt the same at times, you always gave us hope that our home will sell. Although we did not get the price that we were expecting, you made it happened and for that I commend you. You were always courteous as well as professional at the same time. You always responded to our calls despite the time, day or night. Thank you for all that you do to help others along the way. May God bless you. May success and happiness always be yours". Ivan and I would like to thank you for the excellent job you did selling our home. We were very impressed with the high level personal service you provided and the great exposure our property received. Your professionalism and expertise was very helpful. We would highly recommend your services. He was very cooperative and answerd all our questions & concerns immediately. Jas was always available, and also gave us lot of staging ideas to make our home look spacious. It was very pleasant experience selling our home with Jas Gill. We stongly recommend him to our friends and family. Thank Jas for all of the hard work and dedication you devoted to selling and purchasing yet another home for us. Your expert advice and personal support had made this stressful time much more bearable. You are truly the best !! Thank you for selling our home in 10 days. we hope 2007 is very prosperous year for you as well. You deserve any and all sucess that come your way. Thanks once again. Jas is an effective real estate agent. He is very smart, very professional, hardworking realtor. His expert advise has resulted in our home being sold in such short time and at excellent price. Bill and I would like to thank you for the excellent job you did selling our home. We were very impressed with the high level personal service you provided and the great exposure our property received. Your professionalism and expertise was very helpful. We would highly recommend your services. EXCELLENT service and a pleasure to deal with. We would not hesitate to use Jas's service again. Thank you for all of your help. You really put your time to show us around great prperties, and was most helpfull person in helping us find our dream home. It was due to your thoroughness and attention to detail that my wife and I were able to relax - knowing our move was in good hands. And now we have just what we were looking for.